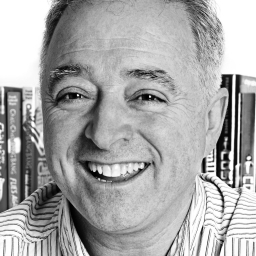 Frank Cottrell Boyce is an accomplished, successful and award-winning author and screenwriter. His books have been shortlisted for a multitude of prizes, including the Guardian Children's Fiction Prize, the Whitbread Children's Fiction Award (now the Costa Book Award) and the Roald Dahl Funny Prize and Millions, his debut children's novel, won the CILIP Carnegie Medal 2004. Millions was was later turned into a film by Danny Boyle and it features in the Book Trust’s 100 Best Books List for 9-11 year olds. Frank is also a successful writer of film scripts and was the official scriptwriter for the Opening Ceremony for the 2012 Olympics, playing an important role devising the ceremony with Danny Boyle. He is also a judge for the BBC Radio 2 500 Words competition. You can read a great interview with Frank and one of his fellow judge, Francesca Simon here! He has also created a fantastic trilogy, written with his trademark wit, warmth and sense of story, based upon Ian Fleming's novel, Chitty Chitty Bang Bang, comprising Chitty Chitty Bang Bang Flies Again, Chitty Chitty Bang Bang and the Race Against Time and Chitty Chitty Bang Bang Over the Moon. His novel The Unforgotten Coat won the 2012 Guardian Children's Fiction Prize. On winning the prize Frank Cottrell Boyce said: “It would be amazing to win this award with any book I'd written but it is a special joy to win it with The Unforgotten Coat, which started life not as a published book at all, but as a gift. Walker gave away thousands of copies in Liverpool - on buses, at ferry terminals, through schools, prisons and hospitals - to help promote the mighty Reader Organisation. We even had the book launch on a train. The photographs in the book, were created by my friends and neighbours - Carl Hunter and Claire Heaney. The story was based on a real incident in a school in Bootle. So everything about it comes from very close to home - even though it's a story about Xanadu! He lives with his family in Liverpool. And see the video below for some top tips for writing your own story, taken from the BBC Radio 2 500 Words web page. Shortlisted for the Blue Peter Book Award 2016 Best Story | Andrea Reeces's Pick of the Year 2015 This is Frank Cottrell Boyce’s first standalone novel since Cosmic in 2008 and it’s been well worth the wait. The smallest and weakest boy in his class, Rory Rooney makes an unlikely superhero. But all that seems set to change when he suddenly and inexplicably turns green, surely the markings of a superhero. Stuck in a hospital isolation ward with two other remarkably green children – including his nemesis, school bully Grim Kommissky – Rory discover his superpowers and becomes Astounding. The adventure that follows is by turns hilarious and heart-warming, further proof if it were needed that Cottrell Boyce is one of the wittiest, warmest and most inventive children’s authors of today. Interest Age 5-8 Frank Cottrell Boyce is one of our funniest, most inventive writers for children and his readers should always be ready to expect the unexpected; that’s certainly the case here. Ted’s birthday starts quietly – he finds his parents fast asleep on the sofa after staying up all night to watch the election. He buys himself a consoling packet of Hula Hoops from the new supermarket at the end of his road, and that’s where things start to go properly weird. There seems to be a link between what he says in the supermarket, and the new prime minister’s policies – could she have some special connection to Ted? The explanation when it comes is very funny! This is a wonderful story that makes you see our world in a different, somehow nicer way. Cate James’s illustrations add to the fun too. ~ Andrea Reece One of our Dyslexia Friendly Books of the Year 2015 About the Little Gems series: Little Gems are in a gorgeous new chunky format, with high-spec production including coloured endpapers and jacketed flaps with activities. Additional features include high quality cream paper, Barrington Stoke font and illustrations on every page. They are perfect for 5-8's. These quality stories promote good reading practice for all newly independent readers. Comic and cosmic, this is a roller coaster adventure that takes Liam Digby up into space with a handful of other children and their parents. It’s an hilarious journey of discovery as Liam hurtles around the world finding out exactly what makes children and adults different. The Lovereading Comment: This is the eagerly awaited third novel from an author who has already won and been shortlisted for numerous prestigious awards including the Carnegie with his debut novel Millions and his second novel Framed. This latest triumph is both bittersweet and hilariously down-to-earth. It’s a heart-warming exploration of a father-son relationship in a world where everyone wants to grow up fast, and then stay young forever. A wonderful story about life’s ups and downs. Framed has been chosen as a favourite book by our Guest Editors Philip Ardargh and Joanna Nadin. Philip Ardagh: Reviewing children's books for a national newspaper on a fairly regular basis means that I have to read a goodly number of books I might never otherwise have made the time to do. Stumbling upon books such as Framed is one of the perks of the job. I could tell you that it's about the redemptive power of art but I'm not absolutely sure how to spell 'redemptive' and, anyway, what it's really about is a boy and his dad... and families, and what makes them tick, stop ticking and then tick again. Frank Cottrell Boyce is a craftsman. I can't recommend this book highly enough. Joanna Nadin: Frank Cottrell Boyce writes boys with humour, irony and compassion. Although best known for Millions, it is his second novel, Framed, that I go back to time and time again: the laugh-out-loud funny and try-not-to-cry story of nine-year-old Dylan Hughes, man of the house, boss of the failing family business, and the only boy left in Manod. Framed was shortlisted for the Blue Peter Prize 2007 'The Book I Couldn't Put Down.' and shortlisted for the Carnegie Medal. The judges said: Cottrell Boyce’s second children’s novel is original, charming and funny. Reading Guide available to download for this title. Winner of the 2004 CILIP Carnegie Medal | When a bag stuffed full of money falls out of a train and into their camp, Damian and Anthony are suddenly rich. Very, very rich, to be precise. But, there is a problem. They only have a few days in which to spend the money. When the Euro arrives, it’ll be worthless. A thrilling story about the real value of money but Millions is more than an adventure as the boys have recently lost their mother and their search for happiness is tinged with the sadness that, however much money they have, they’ll never be able bring her back. A touching comedy from a Carnegie Medal winning author is given a brand new package. George's birthday is as uneventful as ever. Until he opens his grandad's present and finds some aftershave and cufflinks from 1982. George's mum wants to recycle it, but for some strange reason George wants to hang on to it. And when he opens it, some very strange things start happening - Hilarious comedy from Carnegie Medal winner Frank Cottrell Boyce. With a reading age of 8, it is particularly suitable for struggling, reluctant and dyslexic readers. When a bag stuffed full of money falls out of a train and into their camp, Damian and Anthony are suddenly rich. Very, very rich, to be precise. But, there is a problem. They only have a few days in which to spend the money. When the Euro arrives, it’ll be worthless. A thrilling story about the real value of money but Millions is more than an adventure as the boys have recently lost their mother and their search for happiness is tinged with the sadness that, however much money they have, they’ll never be able bring her back. The bestselling novel from Frank Cottrell Boyce - screenwriter and writer of the London 2012 Olympics Opening Ceremony - now with a fantastic new cover to celebrate its ten year anniversary. Interest Age 8-11 Reading Age 8+. A delicious comedy in which geeky George, whose passion for Warhammer games has long made him a social outcast, is transformed by some past its sell by date after shave. Suddenly everyone wants to be George’s friend. Can he escape? A humorous look at the pitfalls of popularity. ~ Julia Eccleshare Without exception dyslexia-friendly books published by Barrington Stoke get off to an exciting start and maintain the impetus throughout, with a cliffhanger at the end of every chapter. The plot is clear, the characters appealing and there are plenty of visual clues, as dyslexics like to run a story like a video in their heads. To view other titles we think are suitable for reluctant readers please click here. A Dyslexia Friendly title. Shortlisted for the Blue Peter Prize 2007 'The Book I Couldn't Put Down. '9 - 12 years. Shortlisted for the Carnegie Medal. What the judges said: Cottrell Boyce’s second children’s novel is original, charming and funny. A choice of Guest Editors Philip Ardargh and Joanna Nadin.It is a poignant and pacey adventure with a tightly structured plot full of humour, wisdom and excitement. Even the most minor characters are portrayed with effortless depth and accuracy. May 2010 Guest Editor Philip Ardagh: Reviewing children's books for a national newspaper on a fairly regular basis means that I have to read a goodly number of books I might never otherwise have made the time to do. Stumbling upon books such as Framed is one of the perks of the job. I could tell you that it's about the redemptive power of art but I'm not absolutely sure how to spell 'redemptive' and, anyway, what it's really about is a boy and his dad... and families, and what makes them tick, stop ticking and then tick again. Frank Cottrell Boyce is a craftsman. I can't recommend this book highly enough. September 2009 Guest Editor Joanna Nadin on Framed by FRANK COTTRELL BOYCE Frank Cottrell Boyce writes boys with humour, irony and compassion. Although best known for Millions, it is his second novel, Framed, that I go back to time and time again: the laugh-out-loud funny and try-not-to-cry story of nine-year-old Dylan Hughes, man of the house, boss of the failing family business, and the only boy left in Manod. Reading Guide available to download for this title. Shortlisted for the Carnegie Medal. What the judges said: Cottrell Boyce’s second children’s novel is original, charming and funny. It is a poignant and pacey adventure with a tightly structured plot full of humour, wisdom and excitement. Even the most minor characters are portrayed with effortless depth and accuracy. When a bag stuffed full of money falls out of a train and into their camp, Damian and Anthony are suddenly rich. Very, very rich, to be precise. But, there is a problem. They only have a few days in which to spend the money. When the Euro arrives, it’ll be worthless. A thrilling story about the real value of money but Millions is more than an adventure as the boys have recently lost their mother and their search for happiness is tinged with the sadness that, however much money they have, they’ll never be able bring her back. Reading Guide available to download for this title. This book was selected by Marcus Sedgwick, July 2010 Guest Editor, as: "Another book I would be very proud to have written - I think comic writing is the hardest thing to do well, and this book is not only funny, it's a very happy book too, and we could all do with a few more of those in the world." Alfie likes hanging out at the airport - it looks like everyone has someone waiting for them and they all seem so happy when they arrive back from their holidays . . . he wishes he had someone as excited to see him. So when he finds Eric, a one-legged robot in need of a friend, at the airport Lost Property counter, he decides to take him home with him. Runaway Robot is a hilarious and heartwarming tale of friendship from Carnegie medal-winning author, Frank Cottrell-Boyce, illustrated by Steven Lenton. Join the little rabbits on a big adventure in this beautiful giftbook edition of the animated TV mini series, Watership Down. Re-imagined by script-writer Tom Bidwell (My Mad Fat Diary), this classic tale has been made into a beautifully animated four-part mini series by the BBC and Netflix. Featuring stunning CG animation, emotive illustrations and text adapted from the TV scripts by award-winning author Frank Cottrell-Boyce, this retelling of the classic story is perfect for a family audience. Set in the English countryside, Watership Down tells the tale of a ragtag band of rabbits fleeing the destruction of their warren in search of safety and a new home. Their adventure is brought to life in this stunning gift picture storybook, which will be treasured by fans of the original novel, as well as new readers introduced to this epic tale by the television mini series. Watership Down (c) Watership Down Television Limited 2018. Licensed by ITV Ventures. Find out why it's not easy being green in the hilarious book from master storyteller Frank Cottrell Boyce, The Astounding Broccoli Boy. Read by Ewan Goddard and with an approximate running time of 466 minutes it's time to meet a brand new super hero! Rory Rooney likes to be prepared for all eventualities. His favourite book is Don't Be Scared, Be Prepared, and he has memorized every page of it. He could even survive a hippo attack. He knows that just because something is unlikely doesn't mean it won't ever happen . . . But Rory isn't prepared when he suddenly and inexplicably turns green. Stuck in an isolation ward in a hospital far from home with two other remarkably green children, Rory's as confused by his new condition as the medics seem to be. But what if it's not in their genes, or a virus, or something they ate? What if turning green actually means you've turned into a superhero? Rory can't wait to make it past hospital security and discover exactly what his superpower might be . . . The Blythes are a big, warm, rambunctious family who live on a small farm and sometimes foster children. Now Prez has come to live with them. But, though he seems cheerful and helpful, he never says a word. Then one day Prez answers the door to someone claiming to be his relative. This small, loud stranger carries a backpack, walks with a swagger and goes by the name of Sputnik. As Prez dithers on the doorstep, Sputnik strolls right past him and introduces himself to everyone in the household. Prez is amazed at the response. The family pat Sputnik on the head, call him a good boy and drop food into his mouth. It seems they all think Sputnik is a dog. It's only Prez who thinks otherwise. But Prez soon finds himself having to defend the family from the chaos and danger unleashed by Sputnik, as household items come to life - like a TV remote that fast-forwards people: 'Anyone can do it, it's just that people don't read the instructions properly'; and a toy lightsaber that entertains guests at a children's party, until one of them is nearly decapitated by it - and Prez is going to have to use his voice to explain himself. It turns out that Sputnik is writing a guidebook to Earth called Ten Things Worth Doing on Earth, and he takes Prez on a journey to discover just those ten things. Each adventure seems to take Prez nearer to the heart of the family he is being fostered by. But they also take him closer to the day that he is due to leave them forever . . .
From the award-winning Frank Cottrell Boyce comes the third official sequel to Ian Fleming's Chitty Chitty Bang Bang.The Tootings are stuck in 1966! Somebody has stolen Chitty Chitty Bang Bang and left them behind-but that's not their biggest problem. Their biggest problem is that Little Harry has been kidnapped by whoever stole their magical car. There's only one solution: the Tootings must find the Potts-the family that originally built Chitty. Sharing their combined knowledge of how Chitty works, the families may stand a chance of rescuing Little Harry and finding the most brilliant car in the world. But a fiendish criminal has different plans, ones that involve flying Chitty Chitty Bang Bang to the moon and putting an explosive scheme into action. Everyone's favorite flying car shifts into another dimension as the intrepid Tooting family zooms back and forth through time.When the Tootings return to Zobrowski Terrace at the end of Chitty Chitty Bang Bang Flies Again, they find that home is looking a lot like Jurassic Park. But this is no theme park-a very real and very hungry Tyrannosaurus rex is charging them! Thanks to Dad inadvertently yanking Chitty's "e;Chronojuster"e; lever, the spirited car has flown them back to prehistoric times, where the family-and especially Baby Harry-has a narrow escape. But Chitty has a mind of her own, and the Tootings will get an unexpected tour of exciting times and places from Prohibition-era New York, where Chitty wants to compete in the famous Prix d'Esmerelda's Birthday Cake race, to the lost city of El Dorado and back again, with misadventures and surprise stowaways along the way. Get ready for a hilarious high-flying adventure, with celebrated author Frank Cottrell Boyce behind the wheel. Buckle your seat belt for the first ever follow-up to Ian Fleming's only children's story.When the Tooting family finds an old engine and fits it to their camper van, they have no idea what kind of adventure lies ahead. The engine used to belong to an extraordinary car, and it wants its bodywork back! But as the Tootings hurtle across the world rebuilding the original Chitty, a sinister baddie is on their trail-one who will stop at nothing to get the magnificent car for himself.Fueled by wry humor, this sequel to the children's classic by the creator of James Bond-featuring a contemporary family and a camper van with a mind of its own-is written by bestselling, award-winning author Frank Cottrell Boyce. The unforgotten coat belongs to Chingis, one of two Mongolian brothers Julie knew as a child. After they unexpectedly turn up at her school ,Julie tries to help them to make sense of their new, unfamiliar surroundings. The brothers speak of their fear of a demon that has the power to make people vanish. Slowly, Julie learns the painful truth behind this demon. The Unforgotten Coat is ideal for exploring the themes of multiculturalism, immigration, cultural diversity and friendship. This award-winning novel from hugely popular children's author Frank Cottrell Boyce also offers cross-curricular possibilities. Can classmate Julie protect the brothers from vanishing? With warmth and humor, Carnegie Medalist Frank Cottrell Boyce transports readers from the steppe of Mongolia to the streets of Liverpool in an immigration tale that is compelling, miraculous, and often laugh-out-loud funny. A stunning magical story of a summer of friendship with darker undertones of the plight of refugees.Two refugee brothers from Mongolia are determined to fit in with their Liverpool schoolmates, but bring so much of Mongolia to Bootle that their new friend and guide, Julie, is hard-pressed to know truth from fantasy as she recollects a wonderful friendship that was abruptly ended when Chingis and his family were forced to return to Mongolia. Told with the humour, warmth and brilliance of detail which characterizes Frank Cottrell Boyce's writing, this magical and compelling story is enriched by stunning and atmospheric Polaroid photos. Liam has always felt a bit like he's stuck between two worlds. This isprimarily because he's a twelve-year-old kid who looks like he's about thirty. Sometimes it's not so bad, like when his new principal mistakes him for a teacher on the first day of school or when he convinces a car dealer to let him take a Porsche out on a test drive. But mostly it's just frustrating, being a kid trapped in an adult world. And so he decides to flip things around. Liam cons his way onto the first spaceship to take civilians into space, a special flight for a group of kids and an adult chaperone, and he is going as the adult chaperone. It's not long before Liam, along with his friends, is stuck between two worlds againonly this time he's 239,000 miles from home.Frank Cottrell Boyce, author of Millions and Framed, brings us a funny and touching story of the many ways in which grown-upness is truly wasted on grown-ups. George is a social reject - but the mysterious bottle of aftershave means women can't resist him! How will George cope with his new-found popularity? A laugh-out-loud comedy. Barrington Stoke specialise in books for reluctant, struggling and dyslexic readers. Two brothers, Damian and Anthony, are unwittingly caught up in a train robbery during Britain's countdown to join the Euro. Suddenly finding themselves with a vast amount of cash, the boys have just one glorious, appalling dilemma - how to spend it in the few days before it becomes worthless. Torn between the vices of buying a million pizzas and the virtues of ending world poverty, the boys soon discover that being rich is a mug's game. For not only is the clock ticking - the bungling bank robbers are closing in. Pizzas or World Peace, what would you choose? A few things to know about DylanHe is the only boy in his entire townso forget about playing games of football.His best friends are two pet chickens, Michaelangelo and Donatellonamed after (who else?) the Teenage Mutant Ninja Turtles.His family owns the town's only gas station/copy shop/coffee housetheir Picasso Pies are to die for, but profits are still in the hole.Criminal instincts run in his familyhis sister is a mastermind-in-training, and the tax men are after his newly-absent father for "e;questioning. "e; And, one more small thing about nine-year-old Dylanhe's now the man of the house.Then an enormous secret rolls into townone that could bring back Dylan's father, rescue the family business, and involve Dylan in what very well could be the crime of the century. With the same easy mix of wit, warmth, and wonder that made his debut novel Millions an award-winning international bestseller, Frank Cottrell Boyce tells the story of a boy who reminds an entire town of the power of art. Dylan is the only boy living in the tiny Welsh town of Manod. His parents run the Snowdonia Oasis Auto Marvel garage - and when he's not trying to persuade his sisters to play football, Dylan is in charge of the petrol log. And that means he gets to keep track of everyone coming in and out of Manod - what car they drive, what they're called, even their favourite flavour of crisps. But when a mysterious convoy of lorries trundles up the misty mountainside towards an old, disused mine, even Dylan is confounded. Who are these people - and what have they got to hide? A story inspired by a press cutting describing how, during WWII, the treasured contents of London's National Gallery were stored in Welsh slate mines. Once a month, a morale-boosting masterpiece would be unveiled in the village and then returned to London for viewing. This is a funny and touching exploration of how Art - its beauty and its value - touches the life of one little boy and his big family in a very small town. Dylan is the only boy living in the tiny Welsh town of Manod. His parents run the Snowdonia Oasis Auto Marvel garage - and when he's not trying to persuade his sisters to play football, Dylan is in charge of the petrol log. And that means he gets to keep track of everyone coming in and out of Manod - what car they drive, what they're called, even their favourite flavour of crisps. But when a mysterious convoy of lorries trundles up the misty mountainside towards an old, disused mine, even Dylan is confounded. Who are these people - and what have they got to hide? A story inspired by a press cutting describing how, during WWII, the treasured contents of London's National Gallery were stored in Welsh slate mines. Once a month, a morale-boosting masterpiece would be unveiled in the village and then returned to London for viewing. This is a funny and touching exploration of how Art - its beauty and its value - touches the life of one little boy and his big family in a very small town. What's the hook? Entertaining and highly original, this novel appeals strongly to all young readers. What are the themes? Bereavement, family, grown up, self discovery, responsibility, relationships, social conscience and money and its power to corrupt! Teaching points? Many opportunities for studying framework objectives relating to humour, dialogue, characterisation and openings. Two bothers, Damian and Anthony, are unwittingly caught up in a train robbery during Britain's countdown to join the Euro. Suddenly finding themselves with a vast amount of cash, the boys have just one glorious, appalling dilemma - how to spend it in the few days before it becomes worthless. Torn between the vices of buying a million pizzas and the virtues of ending world poverty, the boys soon discover that being rich is a mug's game. For not only is the clock ticking - the bungling bank robbers are closing in. Pizzas or World Peace, what would you choose? Two bothers, Damian and Anthony, are unwittingly caught up in a train robbery during Britain's countdown to join the Euro. Suddenly finding themselves with a vast amount of cash, the boys have just one glorious, appalling dilemma - how to spend it in the few days before it becomes worthless. Torn between the vices of buying a million pizzas and the virtues of ending world poverty, the boys soon discover that being rich is a mug's game. For not only is the clock ticking - the bungling bank robbers are closing in. Pizzas or World Peace, what would you choose?